Welcome to session number fifty of The Tennis Psychology Podcast. 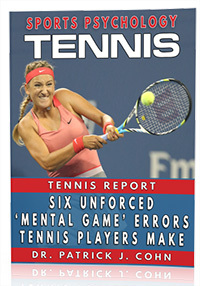 Dr. Patrick Cohn at Sports Psychology for Tennis, is a mental game of tennis expert and helps tournament players, tennis coaches and parents improve confidence, focus, and composure using sports psychology strategies. How to improve your focus at the start of the match. Many tennis players have a hard time focusing at the beginning of a match. This can cause players to get behind in a match. Listen to this mental game of tennis podcast to learn how stay focused during the first set of a match. 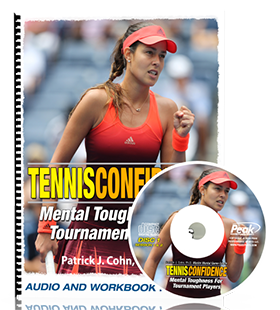 Improve Your Mental Toughness for Tennis Quickly with Dr. Cohn’s new Tennis Confidence audio program!